Miso Crafty Knits: Woah...it's Wednesday? Holy smokes. Where has the time gone?? You would've thought that as Brett was leaving for work yesterday morning that I would have clued in and realized that the weekend was over. Um, yeah...no. The weekend was such a blur that for some strange reason I thought yesterday was Sunday. How in the world could I have thought that? Where has Sunday, Monday, and Tuesday gone? How could I have lost three days?? So perplexing. Ok, maybe not. I can tell you what happened. The Hunger Games is what happened. The Hunger Games is the reason for my absence. Ok, not completely. But mostly. I've been listening to the audiobook and reading the actual book (I can't knit/sew/cut while reading, so I turn to the audiobook for those times), and I just can't seem to put it down. Obviously I have to in order to make food, do dishes, play with the Munchkin, shower...but note that every spare second I throw myself back into the story. I'm now on book two, Catching Fire. I'll forewarn you now that you might not see much of me this week. Hopefully I won't be too engrossed in the book and cheering on Peeta (who I absolutely love. Is it wrong to have a crush on a fictional character? A teenage fictional character?) and can get some actual crafting done. 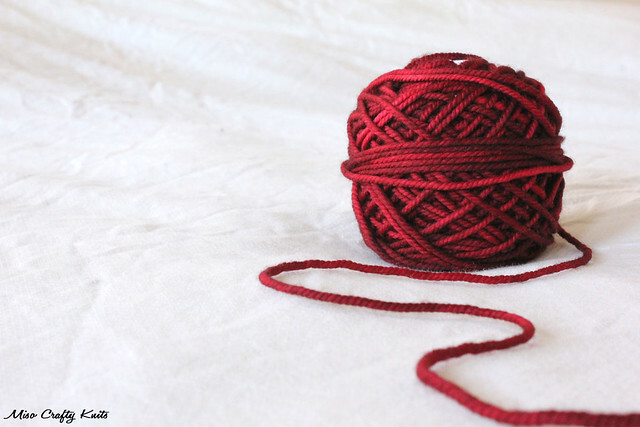 This here craft blog has been severely lacking in any knitting content, wouldn't you say? - for someone who has lost their knitting mojo, I've been keeping up fairly well with the Delancey KAL. I'll try to snap a few photos of my progress and post them sometime later this week. - a few people have asked me what do I do when I go to my knit night. Well, I do knit...not much, but I do. Most of the time I chat. But what do I knit away on? I've got two projects on the go that I haven't blogged (much) about. They are perfect for chatting, movies, absent-minded knitting, and for when you need something insanely easy. Nothing but garter and stockinette in the round. Perfect. I'll try to get some photos of those too. - I've been neglecting my camera as of late in favour of my iPhone camera apps, solely because my camera is a bit bulky to tote around. I promised myself to change all that, so expect to see more photos in the upcoming weeks. - Freakin' Finish It February isn't really going as planned. I've been doing more frogging than knitting. Maybe I should change the name to Freakin' Frog It February? No projects have been finished so far and I'm finding that I've fallen out of love with a lot of UFOs. There's still a handful of projects that I have to decide on whether I should finish or frog. Or shove back into the deep depths of the yarn closet, not to be seen again for another year or two. - how's my yarn diet doing? Have I failed epically yet? I won't lie. I haven't been that strict. I caved Saturday and bought a few skeins of yarn in an update from an indie dyer who hasn't had an update in months. If you look at my stash page by date added you'll see that I've received club yarns and yarns that belong to a kit that were bought last year and have finally received. I am proud to say that I haven't bought any Wollmeise, Cephalopod, Verdant Gryphon, or even SweetGeorgia Yarn since the beginning of the year! I even destashed seven skeins on Friday!! According to my stashdown stats I'm 4000 yards down! Yay for being in the negative and not the positive that I thought I would be! My bank account and wallet are starting to like me again. - today is a gorgeous day, but the past few days have been rainy, dreary, and cold. Yet that didn't stop the Munchkin and I from venturing out and enjoy some puddle jumping, exploring, and even going to our favourite beach spot to watch the waves crash along the shore and throw some rocks. To shake off the winter blahs of the past few months we're definitely planing on going outside more now, and not just to run errands. This could hinder knitting time...and possibly blogging time. that video is way to funny/true? For the record, I'm a fan of Peeta too. I say they don't act like teenagers, so it's totally okay to have a fictional crush. Just wait until you read the rest of the books! You are totally right! They don't act like teenagers! So it's definitely acceptable...I mean, when you think about it, in history a boy is actually a man at the age of 16. I'm almost done Catching Fire and I'm in love with Peeta even more! I'm a little hesitant about reading Mockingjay solely because it's the last book and I don't want the story to end! !